This is a personal injury law firm dedicated to obtaining the best results for each of their clients. An informational wordpress website covering every bit of information you need to know about Law and Governance in the United States. 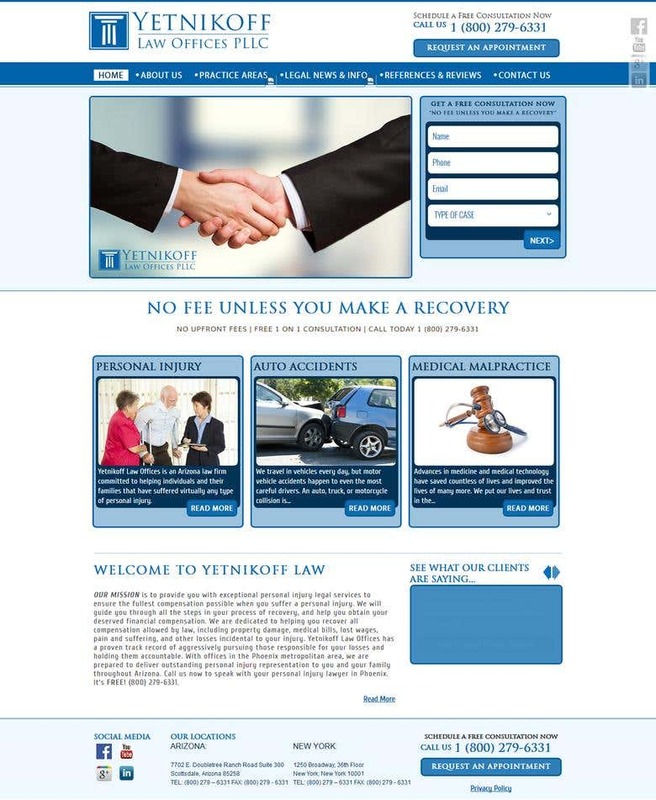 Through this website, you can book an appointment with one of their lawyers online using a simple consultation form. Any type of case you may have, the online booking allows you to book a free appointment and pay a fee later only when you have made a recovery. Payment is done offline. Built on robust wordpress platform with a modern clean and professional design, the website has a responsive structure built to be easily viewed on mobiles and tablet screens.